Given all the chaos this week surrounding Microsoft’s bid to take over Yahoo, it’s not surprising that a new Yahoo product launch wouldn’t have an abundance of exuberance attached to it. Still, the only word anyone got that Yahoo Live has gone live is a three word post on Bradley Horowitz’s blog: “Live is live” (Horowitz is head of the Technology Development Group at Yahoo). 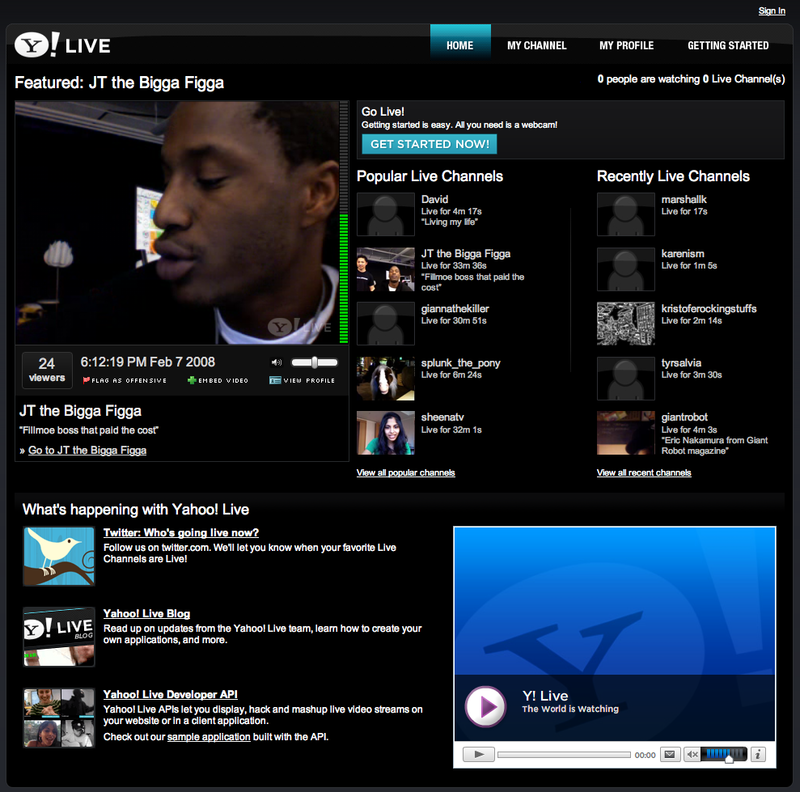 It is very similar to existing live streaming services like Stickam, Justin.tv and Ustream and Blogtv. 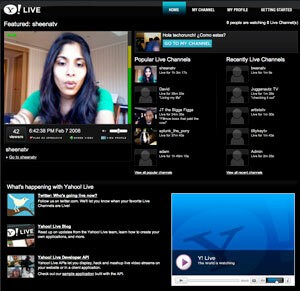 Users create a channel, authorize their webcam and start broadcasting to the public. 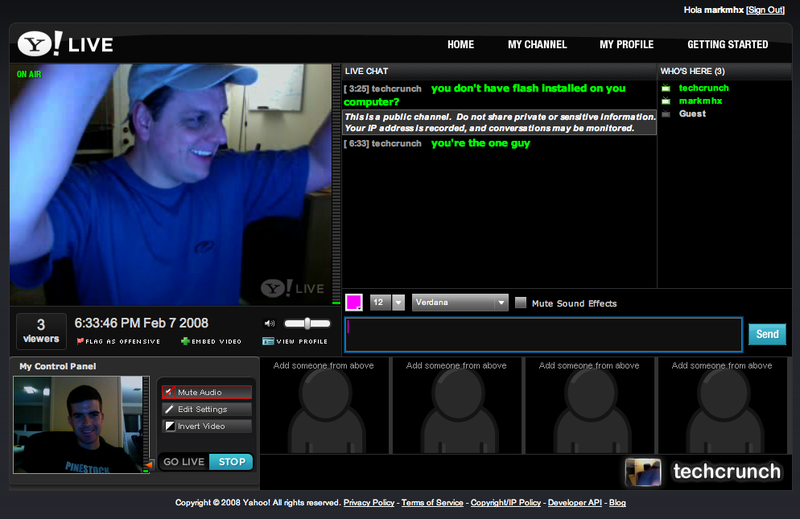 Other people can drop by and watch, or choose to participate via video, sound or text chat. 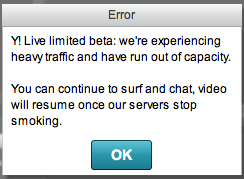 We’re still testing it, but for now the service is very unstable and keeps going down. 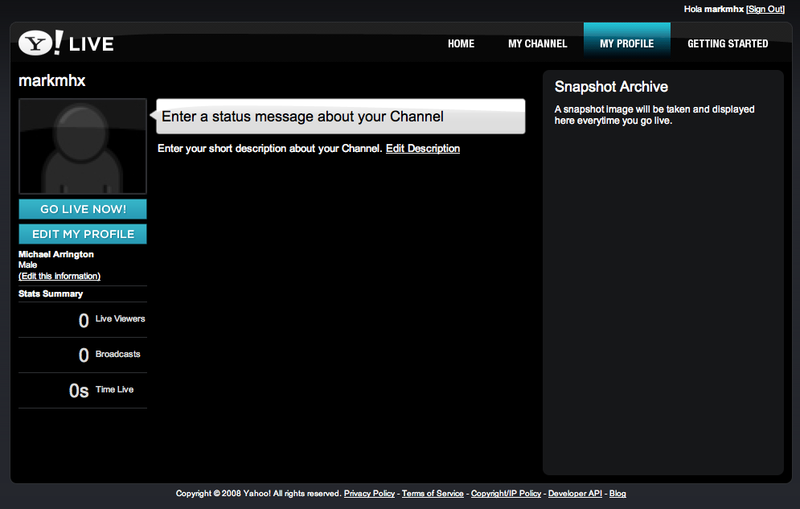 It’s also clearly got a ways to go with features – videos are not archived for playback, for example, meaning once it’s broadcast live, that’s it. 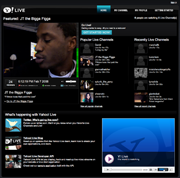 Users can set up profiles for themselves and track how many people have watched them stream live, how many broadcasts they have made, and how long total they’ve been on the air. 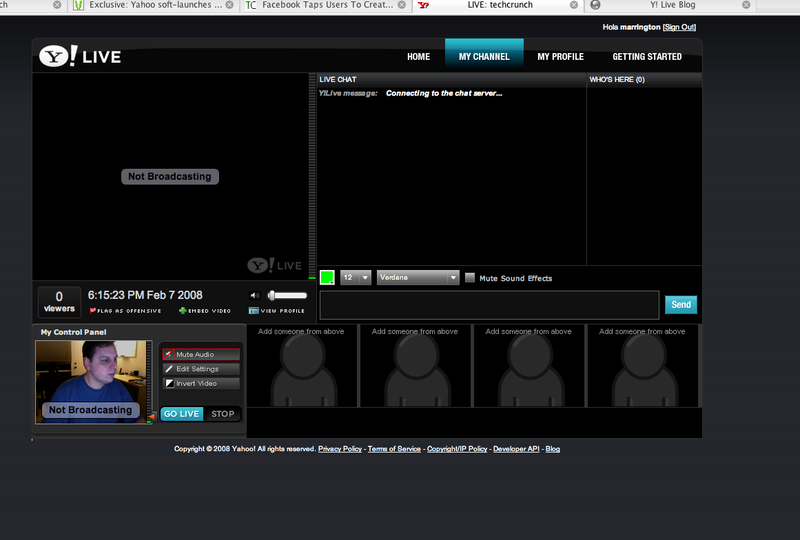 When you’re in a streaming session with others, up to five other people can be shown on your screen at the same time, one of which is the main presenter and four others who are simply in the session. 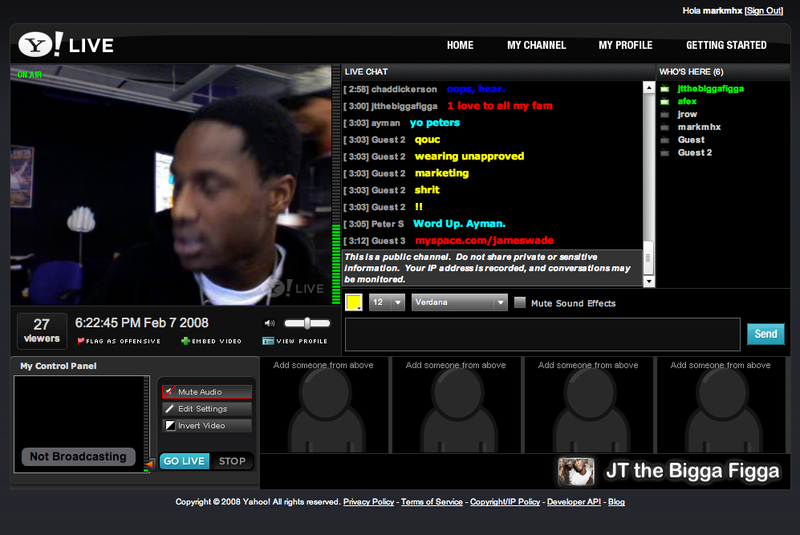 Everyone else can be seen in a chat room associated with the session, and these sessions can also be embedded around the web. 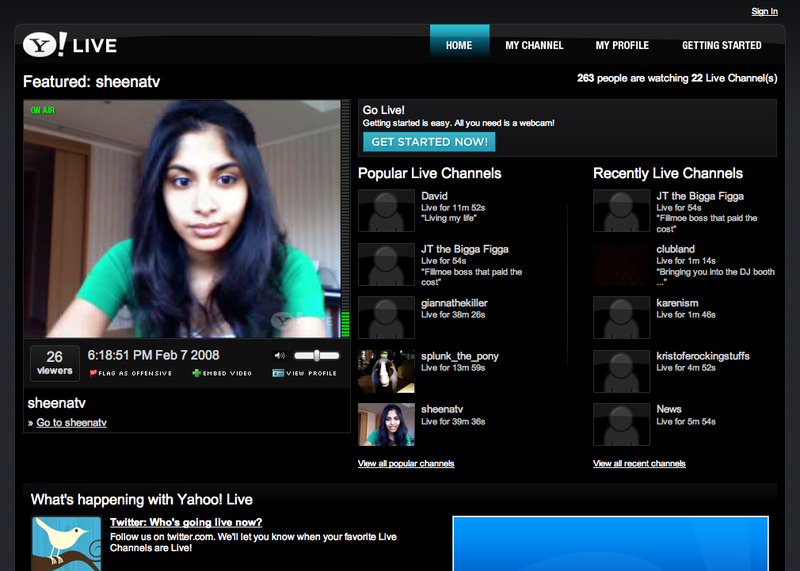 Right now it looks as though Yahoo has hired two people – one of which is a girl who will sing songs on request – to help launch the site by providing some ongoing content. 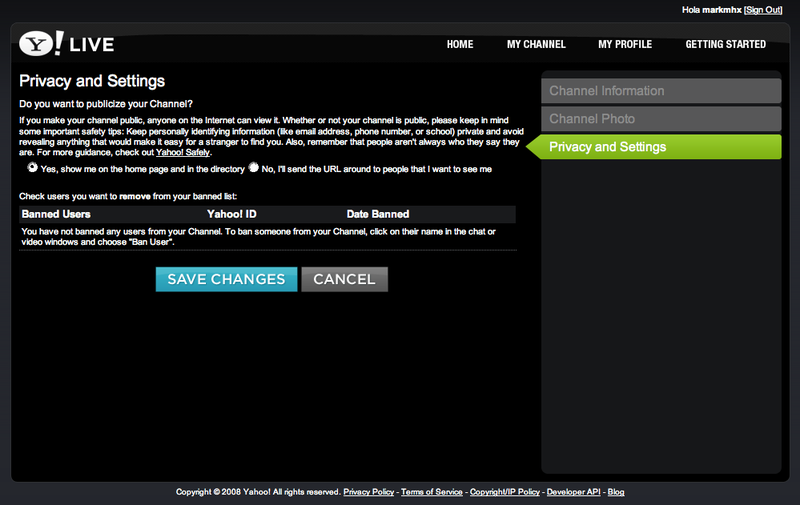 Yahoo has also set up a Twitter account that you can follow to see who’s streaming at a given time. 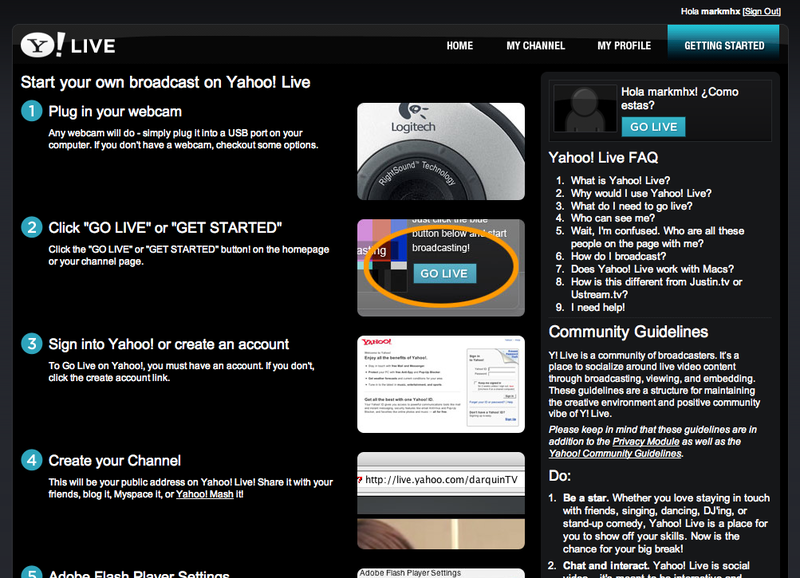 Want to pull out information from Yahoo Live and access it elsewhere? 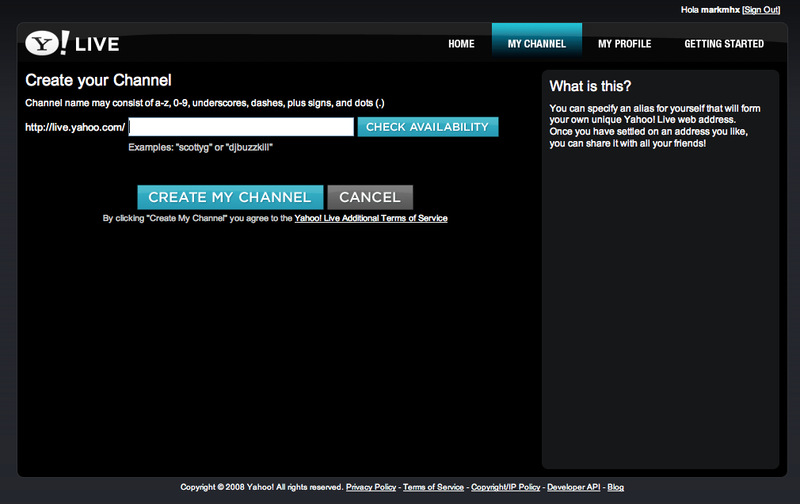 There’s also an API available. Update: Yahoo’s Chad Dickerson responds below in the comments about the stability issue.